Estimated tax payments for the first quarter of 2017 are due. 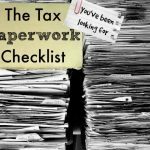 For some clients, not only do you have to pay the federal and state bill, but you you need to get started on 2017 estimated taxes. We’ve included this information for clients, and can help you make the proper payments as needed.